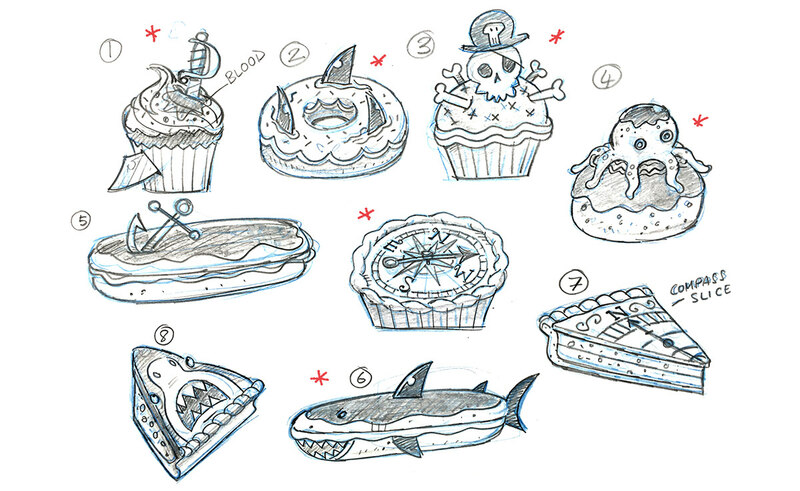 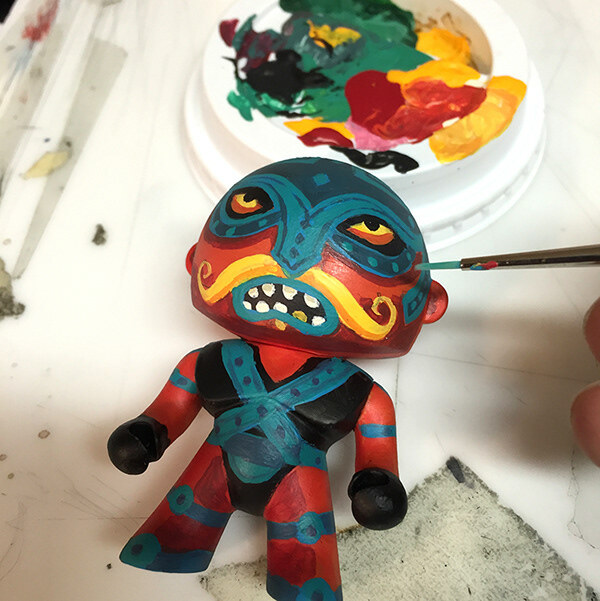 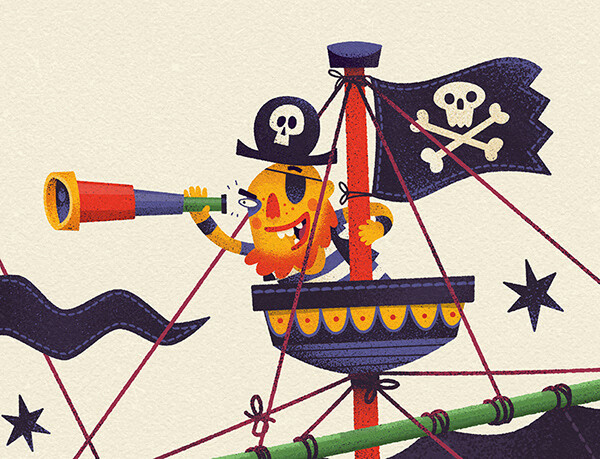 Mainly pirate themed projects done for my favourite French client, Djeco. 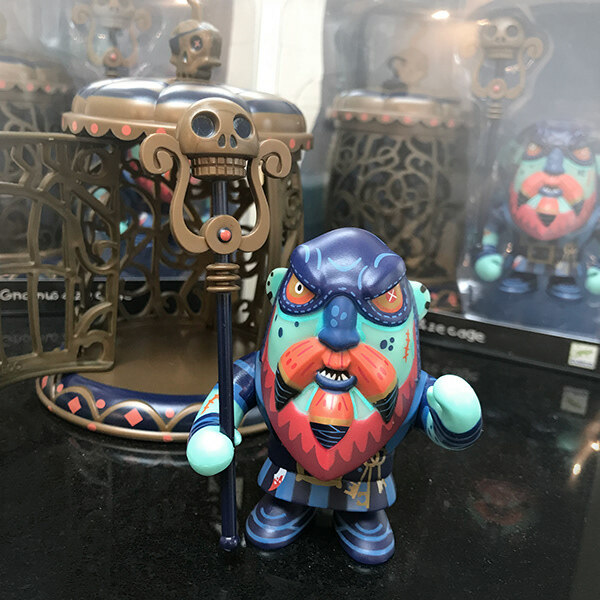 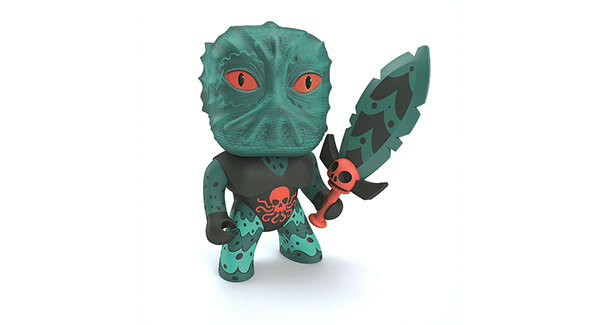 available to buy on many toy websites - search 'Djeco Gnomus and ze Cage DJ06820' for local sellers. 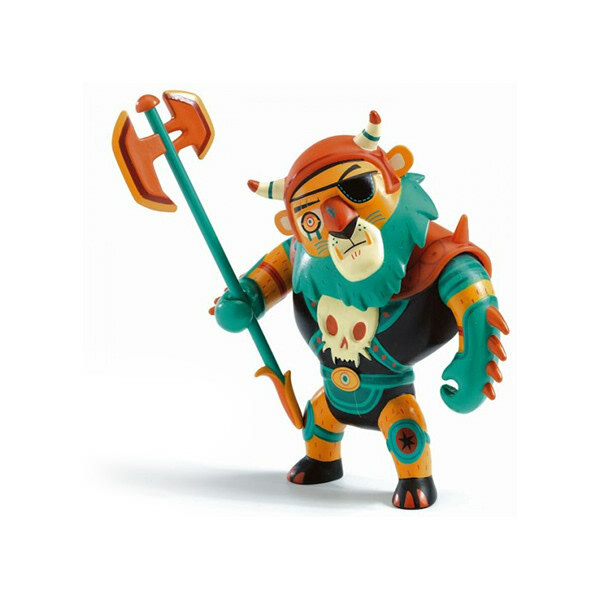 - search 'Djeco Kyle and Ze Throne DJ06813' for local sellers. 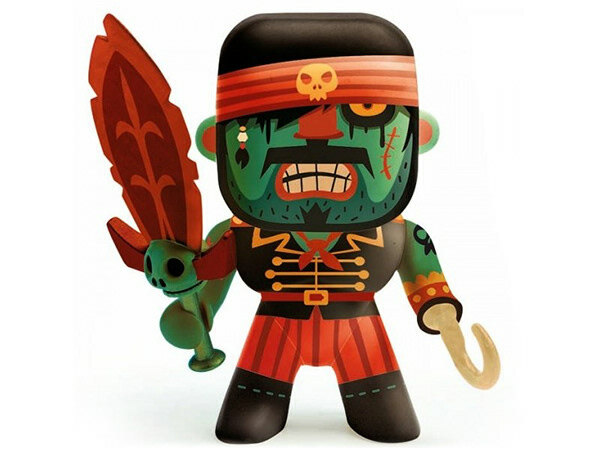 - search 'Djeco Altic DJ06703' for local sellers. 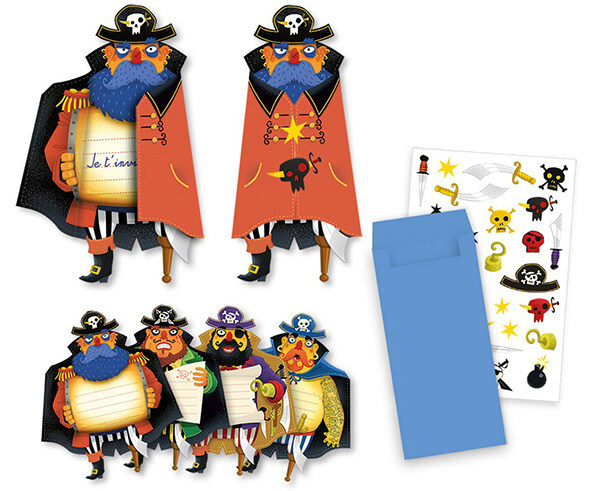 Pack of 8 pirate shaped invitation cards with stickers. 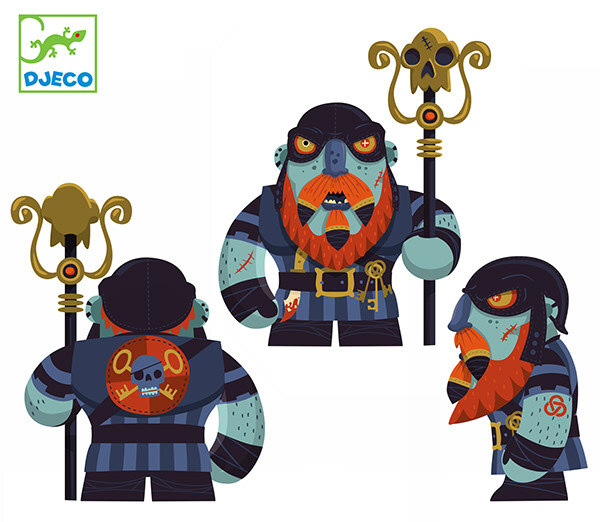 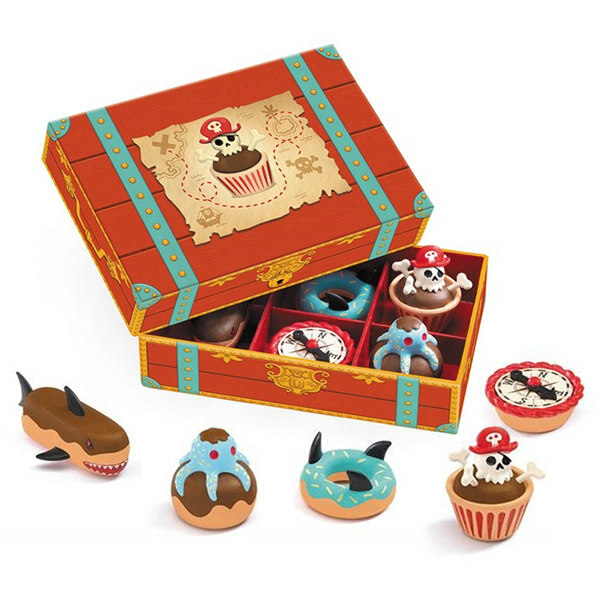 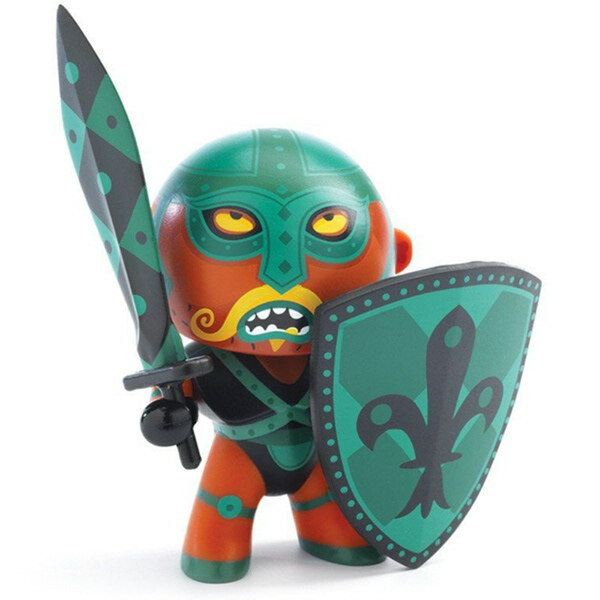 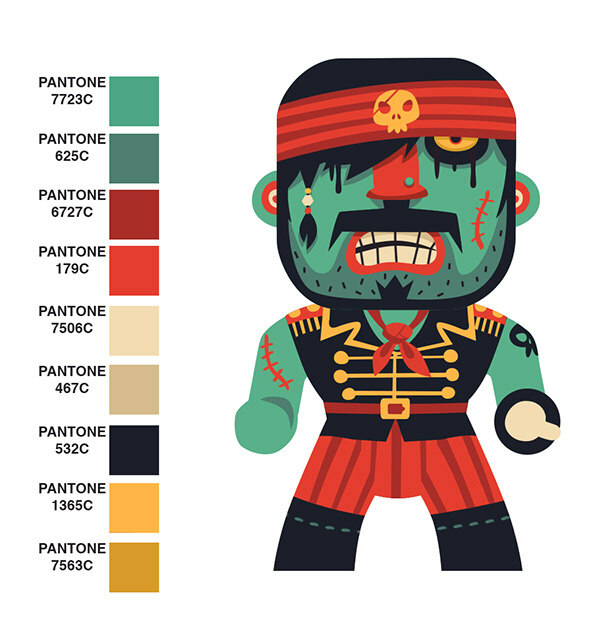 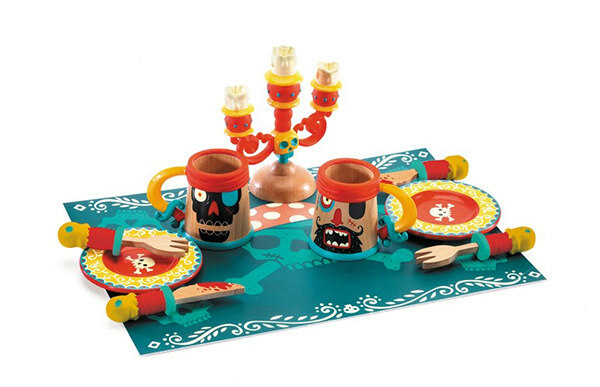 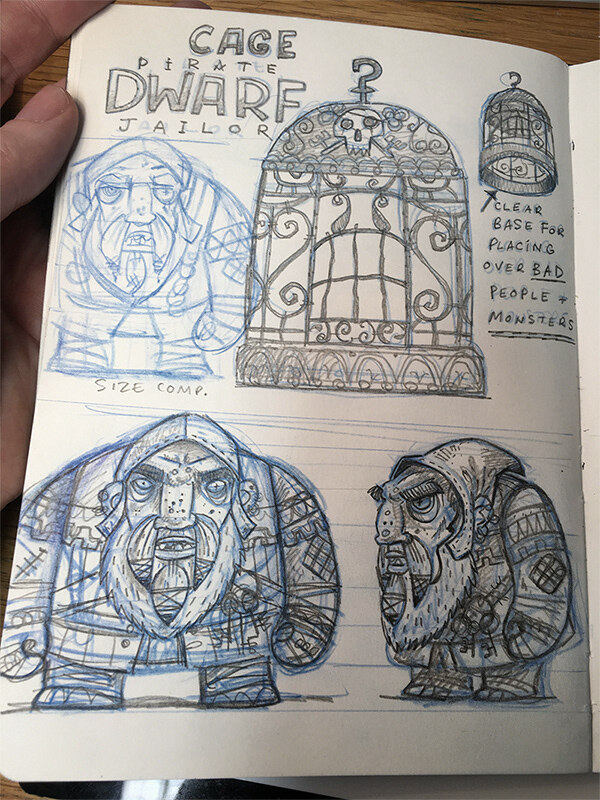 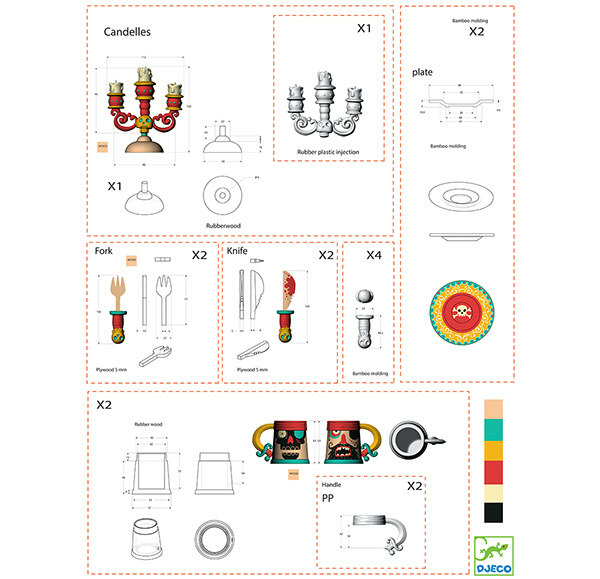 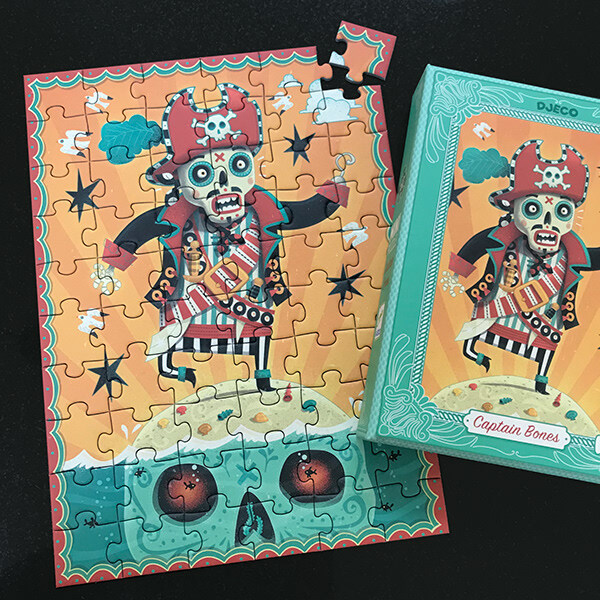 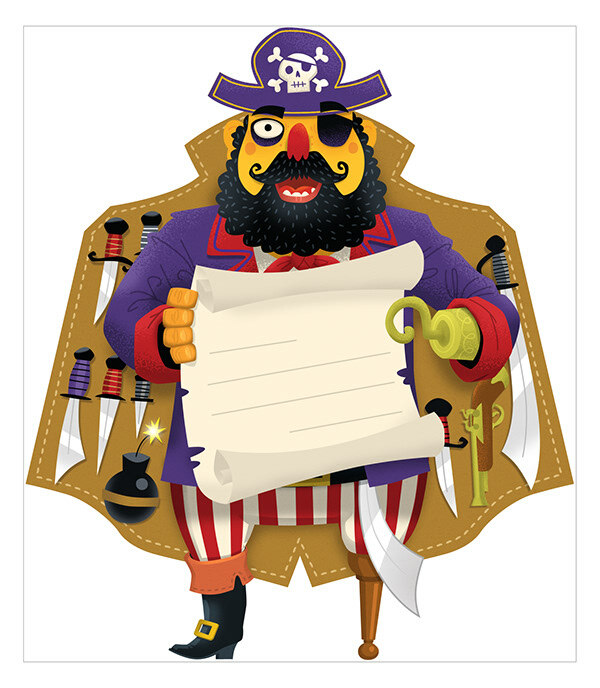 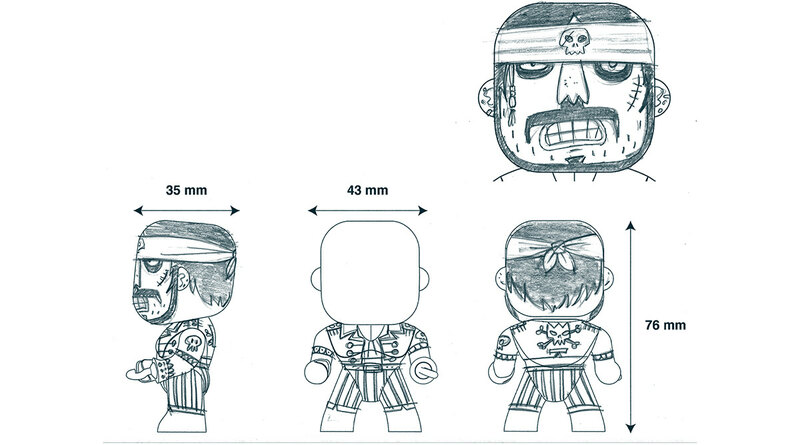 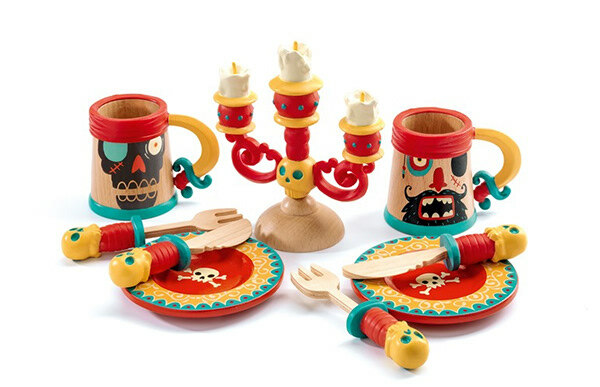 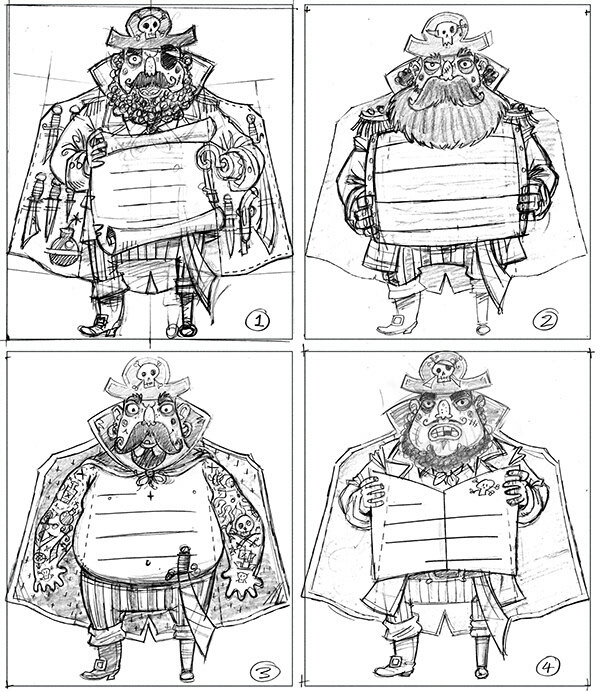 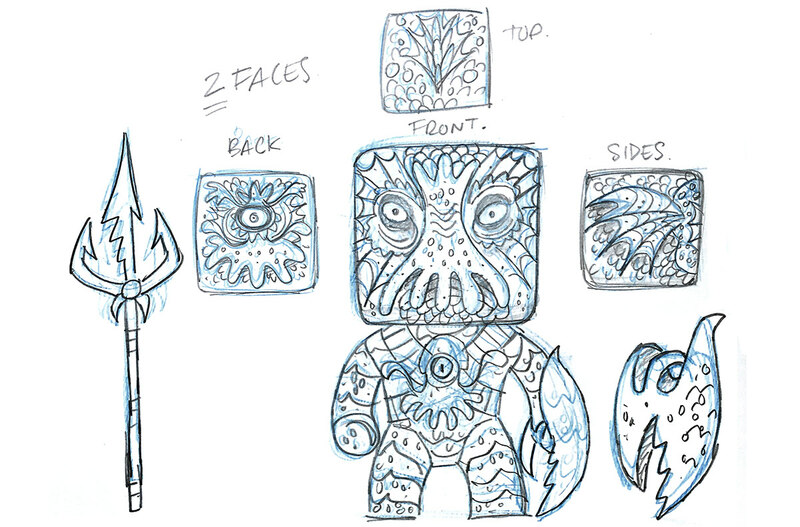 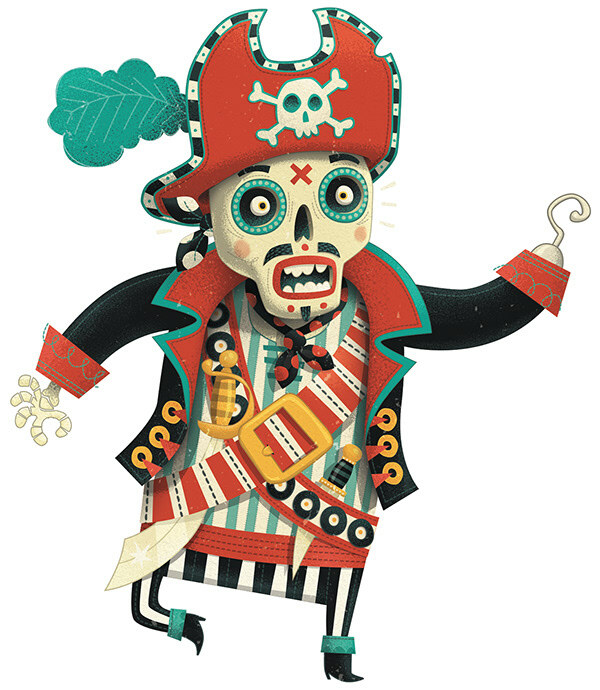 I'm currently working on a pirate card game, another 4 vinyl toys and a giant pirate jigsaw puzzle (sneaky peak below). 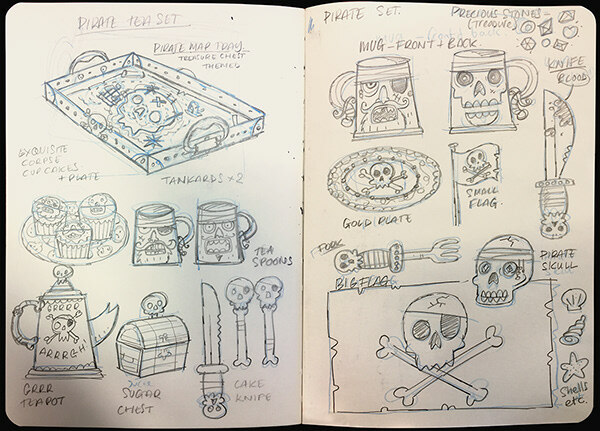 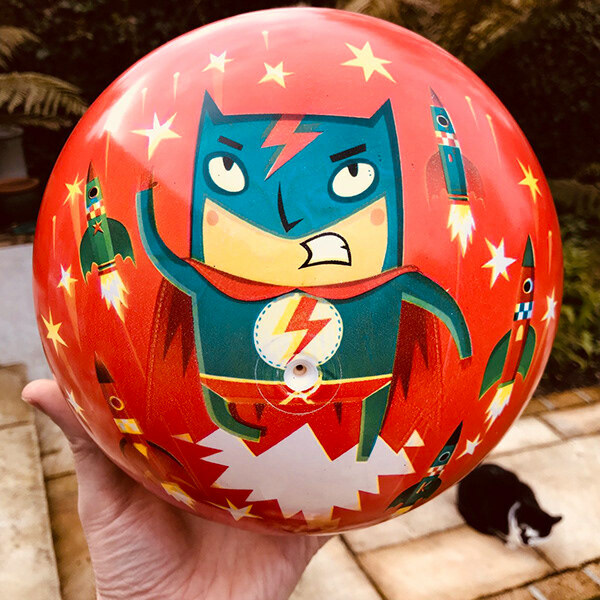 I have several projects that are currently being manufactured including pirate swords, balloons and a temporary tattoo. 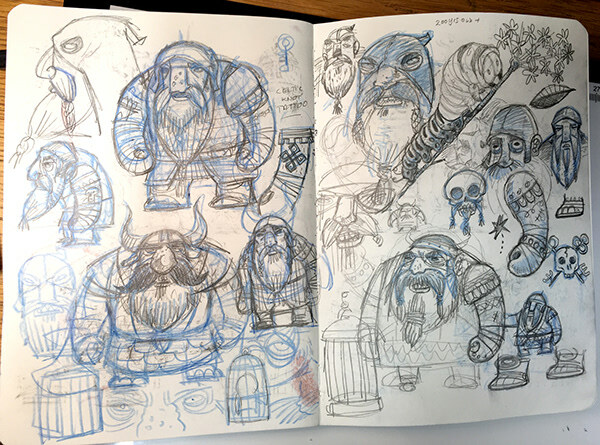 I'll update this project as they come online.